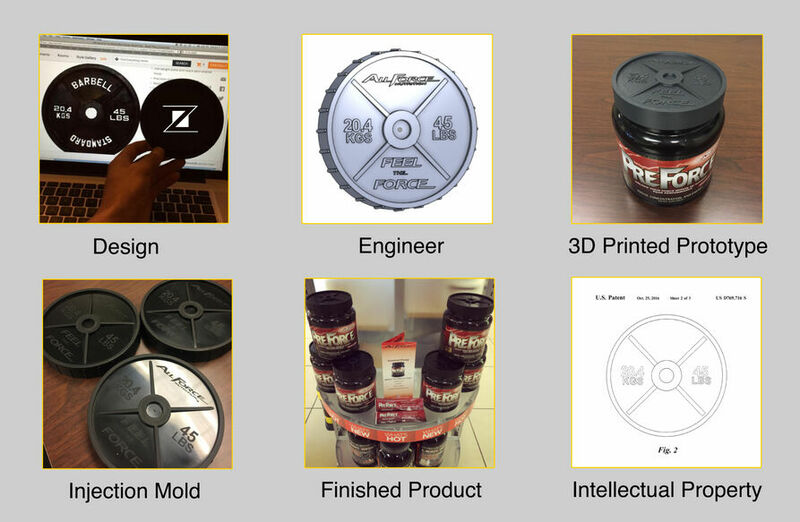 ‍‍‍All Force Nutrition, a lifestyle brand and manufacturer of nutrition supplements, knew they need‍‍‍ed to d‍‍‍ifferentiate their packaging if they wanted to stand out in the saturated supplement industry. They came to Zmach to help them do so. ‍‍‍‍‍‍Our design team went to work studying the marketing and packaging trends in the supplem‍‍‍ent space. We recommended they design a lid shaped like a 45-pound plate, something synonymous with the health and fitness community. Our challenge was to create this custom lid without adding any additional cost or complexity to the manufacturing process. Zmach then provided a complete “Art-to-Part” service for All Force. We designed, engineered, prototyped, tooled a mold, and injection molded finished parts. All Force Nutrition launched a rebrand for their preworkout and protein containers using our custom lid design in Spring 2016. Zmach was granted a design patent for plate-style lid and gives All Force Nutrition exclusive rights to it. 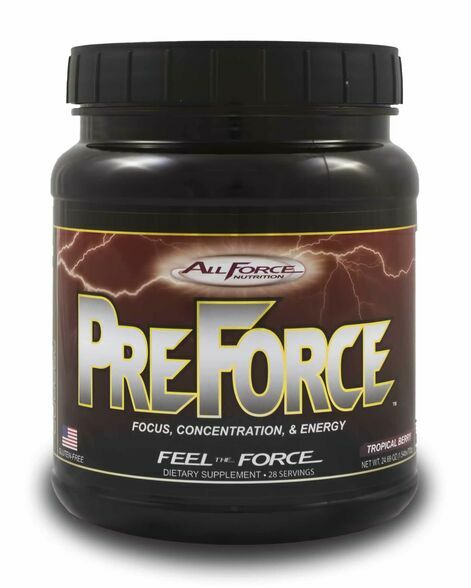 All Force Nutrition, a lifestyle brand and manufacturer of nutrition supplements, knew they needed to differentiate their packaging if they wanted to stand out in the saturated supplement industry. They came to Zmach to help them do so.